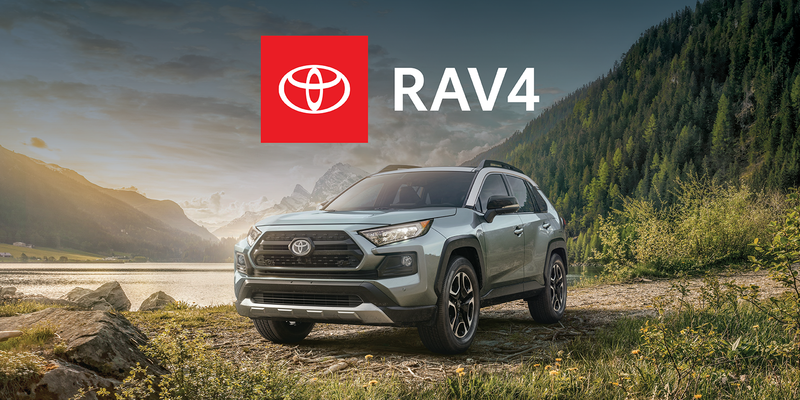 Hybrid Heaven – The RAV4 XSE HV hybrid gets the astounding fuel economy that you’ve come to expect from Toyota hybrid vehicles; however, with some boosts to horsepower and acceleration, this time around the quickest RAV4 is the hybrid! 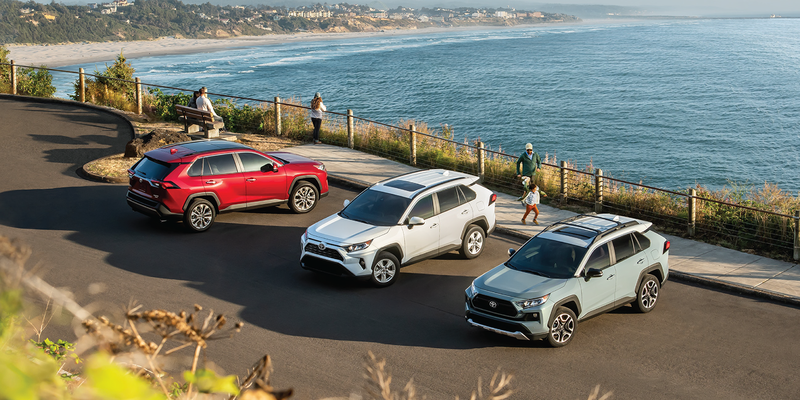 TSS 2.0 – Toyota’s active safety technology suite, Toyota Safety Sense, is in its second generation, and the 2019 RAV4 is the second vehicle to come with TSS 2.0 as standard equipment! 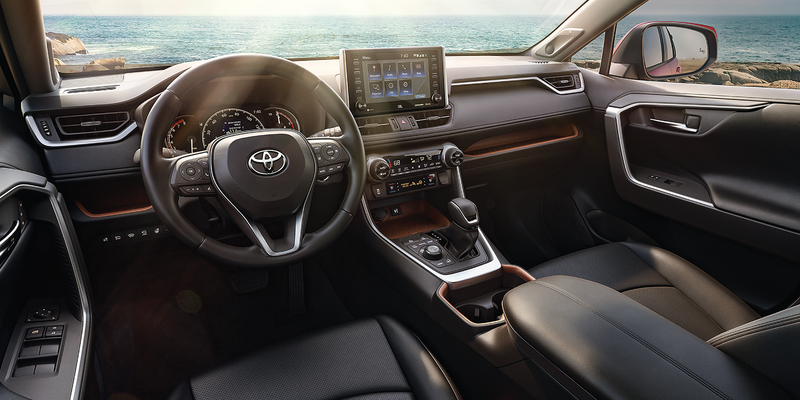 This includes Dynamic Radar Cruise Control that functions across the RAV4’s full speed range instead of just at highway speeds. 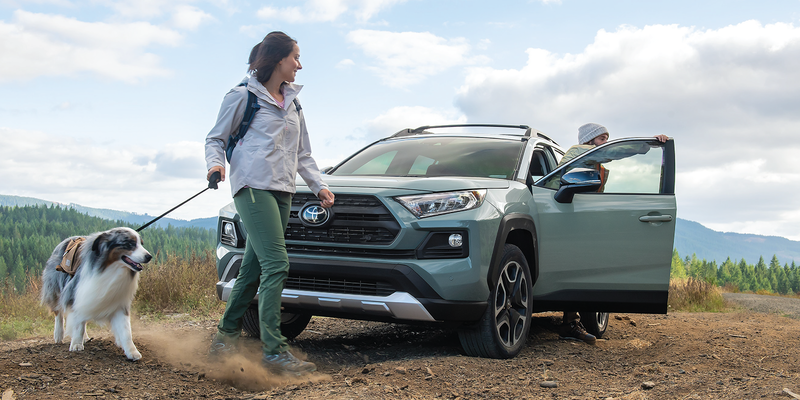 Dynamic Torque – The 2019 RAV4 is the first Toyota vehicle that offers Dynamic Torque Vectoring AWD with Rear Driveline Disconnect. 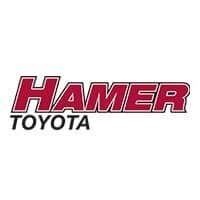 This is a fancy way of saying that the RAV4 can dynamically adjust the torque of the rear wheels to improve handling and traction and even disconnect automatically to improve the fuel economy. 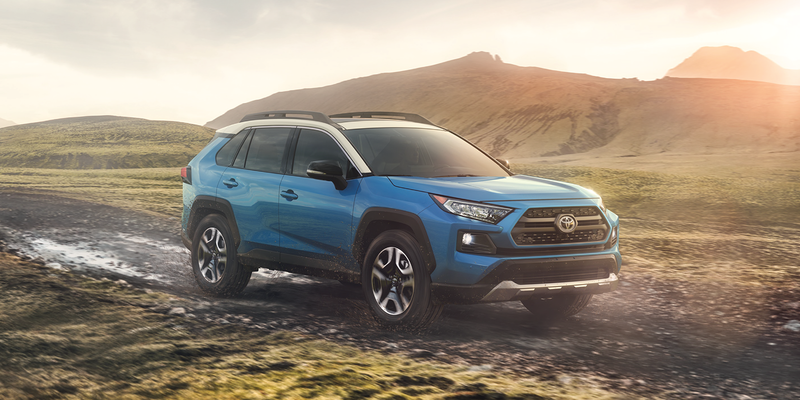 New Off-Road Chops – The 2019 RAV4 is the first RAV4 to get Toyota’s Multi-Terrain Select system that the 4Runner and Land Cruiser to improve their off-road capabilities through maximizing traction when driving through snow, mud, and sand.